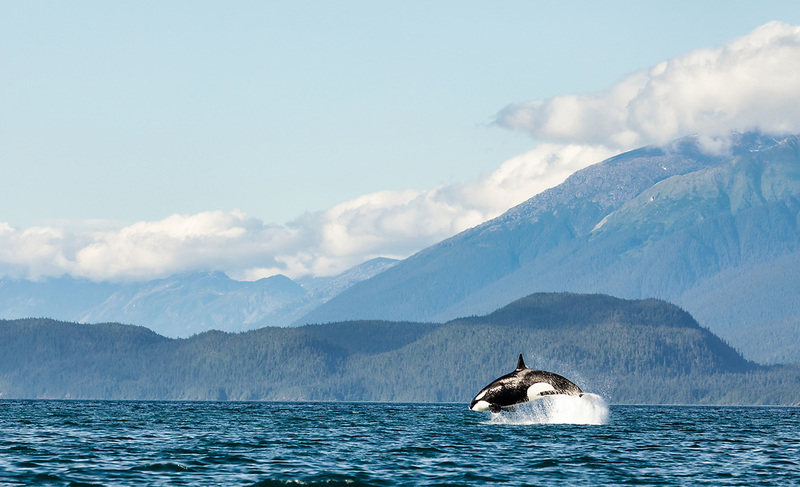 A Killer Whale (Orcinus orca) leaps into the air during a hunt chasing a porpoise in Lynn Canal in Southeast Alaska. Summer. Evening.